To purchase additional tickets, please add the number of guests. Each ticket includes GST and a glass of champagne to get the party started! To purchase additional tickets, please add the number of guests. Ticket price includes GST – sorry no champagne! The Roaring 20’s, the Jazz Age and what F. Scott Fitzgerald would later describe as the “greatest, gaudiest spree in history”; where Prohibition gave birth to bathtub gin, cocktails, finger food and the elusive speakeasy. 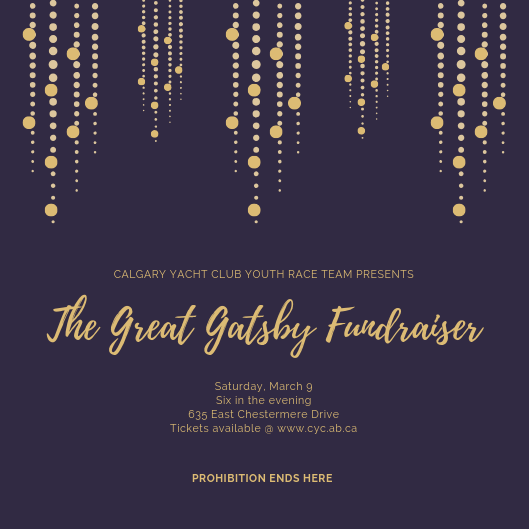 Costumes a must as we transform the club into a secret bar where you will enjoy a Free Glass of Champagne, Jazz Band, Photo Booth, and Silent Auction along with an assortment of Gin Cocktails and Gatsby Era Nibbles.